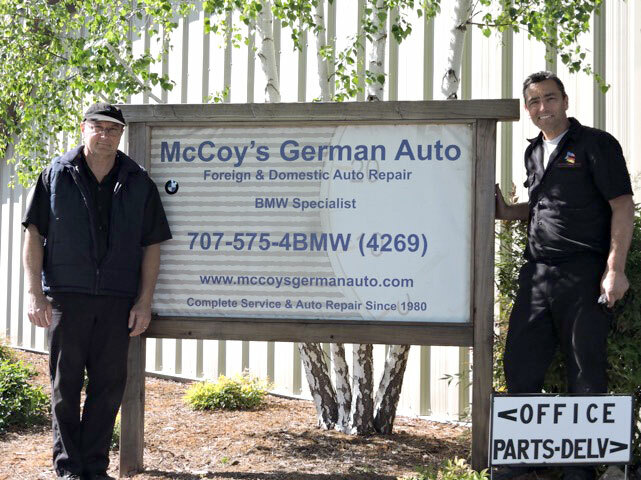 McCoy's German Automotive | Foreign and domestic auto repair since 1980. At McCoy’s, our customers are important to us so we make sure you understand what’s going on with your car. Mat, the owner, is always available to talk with each customer and explain the details of a job. When you bring your vehicle to us, we fix what needs to be fixed without doing unnecessary repairs or adding unnecessary charges. We will however make recommendations about what can be done to make it run better and last longer. Proper maintenance with regularly scheduled services is the key to keeping your car in the best possible shape. We can prioritize the repairs you need to help fit your budget. McCoy’s has always specialized in German cars but after realizing that our customers own more than just German cars we have expanded the business to include all years, makes and models. Whether you have an old Model A, or a brand new Zamboni, we can work on all cars A to Z. At McCoy’s German Auto and McCoy’s Foreign and Domestic Auto, we treat all our customers like friends. So bring your car to us and make a new friend. Prices are very fair and customer service is the best I have ever experience in a small shop like this. I wouldn’t take my Honda Accord anywhere else!! Mat is honest, reliable, and very reasonable. My daughters and son take their cars as well. Excellent, excellent, excellent!! SOOO awesome to see a business owner being honest and thinking client first. Matt is amazing at diagnosing the issues and he is a pleasure to work with. He really knows his cars and he is able to trouble shoot the problems.